Singapore--Filipino Kevin Belingon vows to put up a different fight this time when he meets reigning ONE Bantamweight World Champion Bibiano “The Flash” Fernandes of Brazil for the World Bantamweight Crown on Friday at the Singapore Indoor Stadium. Filipino Kevin Belingon (right) and reigning ONE Bantamweight World Champion Bibiano “The Flash” Fernandes (left) put up a stance during the ONE: Heart of the Lion Press Conference at the Marina Bay Sands Expo and Convention Center in Singapore. In the middle is Chatri Sityodtong, Chairman and CEO of ONE Championship. Belingon, who lost to Fernandes via a 1st-round submission in 2016, vows to put on a show for his team, family and country this time around. “I trained very hard for the match this coming Friday. I’ve waited for a long time to face Bibiano Fernandes again. I am 100 percent ready and confident. I will do my best to win this time. Be there to support us on Nov. 9,” said Belingon, ONE Interim Bantamweight World Champion. Belingon and Fernandes came face to face during the ONE: Heart of the Lion Official Press Conference at the Marina Bay Sands Expo and Convention Center in Singapore. “It has always been a pleasure to be here in Singapore. This is where I unified the titles in 2013. I will get a chance to do it again in a rematch with a tough opponent in Kevin Belingon. I fought him in the past. I finished him before, and I will finish him again. I am ready for the war on Friday, and I am prepared to do my best,” said Fernandes. 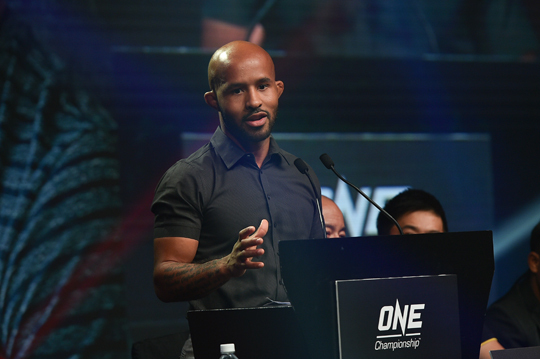 Also in attendance were co-main event participants, Christian “The Warrior” Lee of Singapore and Kazuki Tokudome of Japan, as well as newly signed ONE Championship athletes Demetrious “Mighty Mouse” Johnson and “The Underground King” Eddie Alvarez. In addition, ONE Championship also announced a World Grand Prix for the flyweight and lightweight divisions. “Even though this is a short notice bout, I am extremely prepared. We train year round, and I’m prepared to face anyone, anytime. I’m ready for anything. I am thankful for the opportunity to showcase my talents once again,” said Lee. “ONE Championship is a different organization. ONE Championship is for martial artists, by martial artists. Every fight promotion in the world wants to put on a fight. In ONE Championship, we want to build and unleash real-life superheroes who ignite the world with hope, strength, dreams, inspiration, and courage. We want real martial artists to stand up. Martial arts is not about fighting and violence. It is about unleashing your greatness in life. This is the real beauty of martial arts. I want the entire world to look at our heroes and be inspired through their lives because they bare their souls to the world with every triumph and every failure,” said Chatri Sityodtong, Chairman and CEO of ONE Championship. 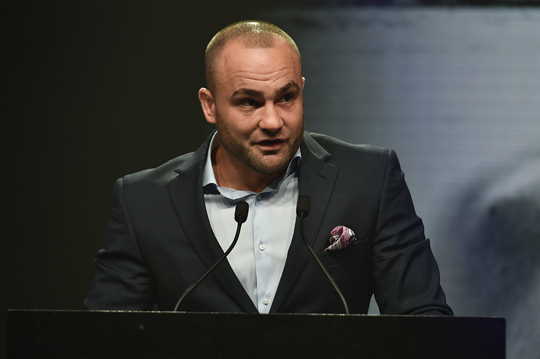 MMA superstars Johnson and Alvarez also expressed their elation for joining the ONE Championship roster of champions. “I spent seven years in North America fighting the best in the world. I’ve never travelled to Asia to fight the best. I think now is the perfect time to do it. Now that they just announced a World Grand Prix for the flyweight division, it’s has always been a dream of mine to actually compete in Asia in a World Grand Prix. The biggest thing that you can expect from me for coming over here to compete in Asia is that I’ll do my best. I am taking no shortcuts,” Johnson said.